Jewish Voice for Peace and Just Foreign Policy have presented former U.S. President Jimmy Carter with a petition of 5,000 signatures supporting Carter’s meeting with Hamas leader, Khaled Meshaal. The two men met in Syria, April 18. Through the petition drive, the two Jewish groups support Carter’s contention that Hamas must be included in any Israeli and Palestinian peace talks. News of the petition drive has spread rapidly, encouraging JVP and JFP to continue the drive with a new goal of 20,000 signatures. Stories about the drive have already appeared on internet outlets Huffington Post, Daily Kos and Common Dreams. It also was covered in the Jerusalem Post. Copies of the petition are being delivered this week to the three Democratic and Republican presidential candidates, each of whom is on record opposing Carter’s plans to meet with Meshaal. In January, 2009 one of the three must confront Israel’s 40-year military occupation of Palestine. President Bush is currently traveling in Israel for that country’s 60th anniversary celebration. Bush will not only ignore Hamas, but he will also ignore another anniversary, the 60th anniversary of the Palestinian Nakba, the ejection of Palestinians from their homes and villages in Palestine in 1948. Sandy Tolan, author of The Lemon Tree, writes in the Huffington Post that the Nakba is a narrative which Bush will not hear. The three candidates contending for Bush’s job will follow his lead Instead of listening to Carter’s counsel for them to speak to all sides in the conflict. They give every indication that no matter who wins in November, the US president willl continue to ignore the issue they must face if to bring peace to the region. Instead of trying realism in the region, McCain, Obama and Clinton waste the public’s time with trivial discussions about a gas tax relief. In doing so, they overlook a biblical connection to their gas tax discussion. Obama, who opposes the suspension, says the savings to the average driver comes to $30 a month. Check the New Testament; a $30 savings is a reminder that Judas accepted his own thirty pieces of silver for betraying Jesus. The candidates stay on the Bush message by attacking the world’s preimminent peace maker. Told of their rejection of his Hamas meeting, Jimmy Carter smiled, and said to a television interviewer, “I forgive them”. Carter knows Hamas is essential to any future peace agreement, having earned a place at the negotiating table by winning a majority of the seats in the Palestinian Authority legislature in the January, 2006 election. Carter monitored that election and declared it to be both open and fair. Hamas’ victory over Fatah was inevitable. Fatah was not delivering services; its officials were notoriously corrupt; Fatah was tainted by its support from the US and Israel, and, a point that media observers missed, Hamas knew more about Politics 101 than Fatah. Half of the Palestinian legislature was chosen by a national popular vote; the other half was selected by districts. Hamas got a share of the nation-wide seats, and cleaned up in the districts. It did so by applying common sense political wisdom: hold your candidates in each district to the number of seats available. If a district had five open seats, Hamas ran five candidates. Fatah lacked the discipline to keep its members from over loading the district ballots, thereby diluting their votes. How could Fatah make such an irresponsible political judgment? Politicians make mistakes. Hillary Clinton ignored the caucuses and she had no plans beyond Super Tuesday. When establishment candidates get complacent, they lose. Jimmy Carter spent several days in the West Bank and Gaza before election day. He needed only one look at those overloaded district ballots to recognize that here was yet another reason that Hamas would win. The one-time Georgia state senator knows politics, and though I never heard him say he anticipated the outcome, he knew some Israel leaders opposed an election they feared would bring an Hamas victory. Like Carter, the Israelis knew far more about the dynamics of their political situation than President Bush, or Secretary of State Rice. Carter also knows the history of the Israeli-Palestinian conflict. He shared that history in his book, Palestine Peace not Apatheid. He also knows the players on both sides. McCain, Obama and Clinton know many Israelis in the region, but they are allowed to talk only with Palestinians approved by Israel. This leads to acts of woeful ignorance. A few years back Hillary Clinton stood inside the Israeli settlement of Gilo (now called a suburb) and declared Israel’s “security” wall as a good thing for the Palestinians. In the current campaign John McCain played his version of the “Wright guilt by association card” by solemnly announcing that an Hamas official wanted Obama to be elected in November. Obama left it to the media to point out that McCain sought and received an endorsement from a fundamentalist preacher who has used the Catholic Church and “whore” in the same sentence. Carter is a veteran negotiator who knows there will be no peace in any conflict without full participation of all relevant parties. He did not hesitate to hold discussions with Hamas leaders. Israeli Prime Minister Ehud Olmert refused to meet with him. He also withheld the customary security protection (until he woke up to the bad publicity and hastily sent a team to join Carter’s Secret Service team). 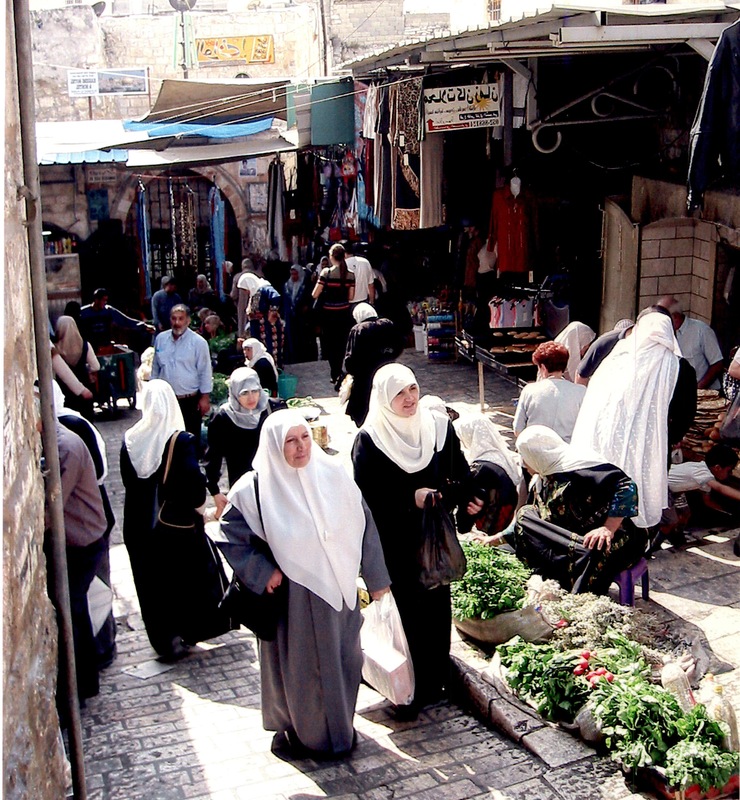 I was in Bethlehem on election day in January, 2006 when Hamas won its legislative majority. At a busy polling place two blocks from my hotel, and a short walking distance from the Church of the Nativity, I took note of the predominance of Hamas’ green banners. This was not surprising since in an earlier Bethlehem city council election Hamas won every seat but one. The sole Fatah seat is held by the only Christian on the council. The day before the 2006 election, I joined Jimmy Carter in a Ramallah meeting with his election monitoring team and with the Palestinian Election Commission. The Commission is chaired by a Palestinian friend of mine of many years, Hanar Nasir, now retired as president of Bir Zeit University. When I slipped into the meeting room, Carter seemed surprised to see me. In typical Carter fashion, he insisted on halting the meeting and explaining to the group that, in political talk, the two of us “go way back”. Nasir was not surprised that I was there. He had given my name to the security guards. The Jewish Voice for Peace and Just Foreign Policy petitions will soon be read by someone in the offices of Obama, Clinton and McCain. The candidates themselves would be wise to study those names generated by two major Jewish peace and justice organizations. They and their growing number of supporters are also voters.